"Since September, I've been working with Nicole. She genuinely wants to help people and their horses succeed. She has shown me positivity and encouragement. I can smile again. I like being alive. Best of all, I have my confidence back. Every canter I ride is better than the last. Raven and I are a powerhouse of a team. Danke schoen, Nicole. Ich liebe dich!" When I met Kelly first thing I realized was that she had blue hair and then she said she was interested in taking western dressage lessons with me and that she owns a Tennessee Walker. All I knew was that western dressage is not that different from classic dressage, but I never rode a TWH and had to find out that they can't trot. 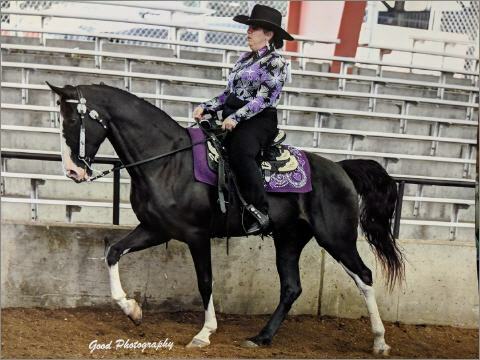 Kelly soon figured out that her saddle seat saddle isn't helping her at all feeling comfortable on her horse as it puts every rider in a stool seat that takes away your balance. She bought a Hennig dressage saddle from me and then fell in love with dressage. 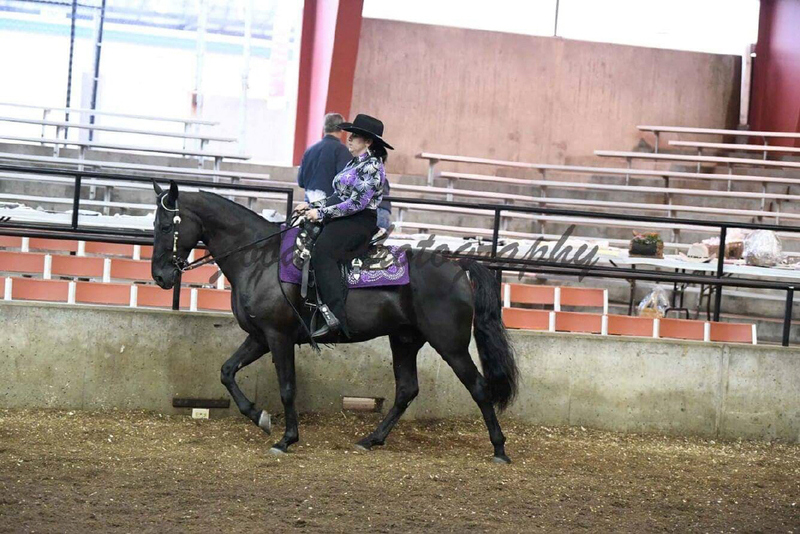 I dig deep into Gaited Horse Dressage Tests to find out there are many varieties of walk that we don't have in the classic dressage, like flat walk and running walk. But I love the challenge and I love to learn new things. And Raven loves to do dressage. Kelly said she often got the feeling Raven was bored, now not anymore. Since a few weeks Kelly own her second TWH a wonderful boy named House. Taking him the first weekend to a show and he almost won everything. What a great horse!